Gabriela Fechter is a Brazilian jiu-jitsu black under Ricardo Vieira, being one of the top competitors in the Checkmat team. 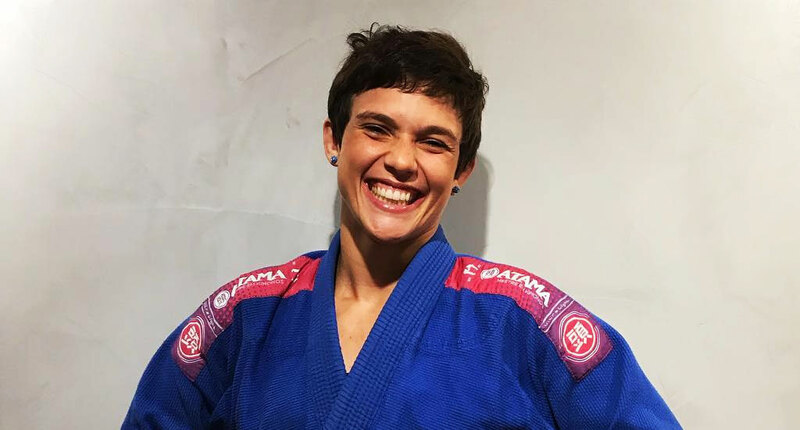 Originally from São Paulo, Fechter moved to Rio de Janeiro as a purple belt, quickly becoming one of the most recognizable faces of the Fight Zone gym, an academy she would later lead as one of the head coaches, a position she pioneered at the time by becoming one of the first women to take charge of a major BJJ gym in Rio de Janeiro. Nickname: “Gabi” which is short for Gabriela. Gabriela Fechter was born on March 31, 1990, in São Paulo, Brazil, where she grew up. Highly engaged with sports from an early age, Gabriela started practicing gymnastics as a child, a sport she competed in, and remained active all the way through to adulthood. Fechter’s path crossed with that of jiu-jitsu at the age of 15, after watching a class that was taking place at her local gym. Although Gabi enjoyed grappling thoroughly, she prioritized her school, gymnastics and her work as an acrobat for a local circus company. This relegated jiu-jitsu practice to only a couple of sessions per week for a few years, a schedule that changed in 2013, when Fechter was already a purple belt. Opting to channel more of her energy towards academia (PE degree) freed some time for BJJ, subsequentially, gymnastics was placed on the backburner. The extra mat time meant Gabi could compete more regularly in jiu-jitsu, and indeed she did. Fechter became quite involved in the local circuit. 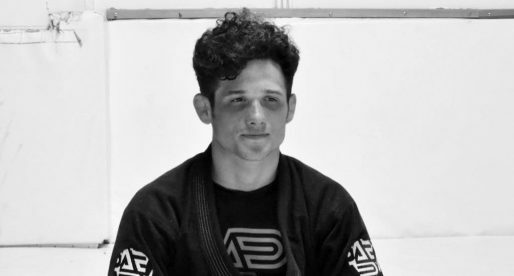 On one of these comps, Fechter met Ricardo “Rico” Vieira, head coach of the famous Fight Zone academy in Rio de Janeiro, and co-founder of the Checkmat team. Seeing the level of athleticism and the potential of Fechter drove coach Vieira to invite her to come and train at Fight Zone, in Copacabana, where Rico had developed numerous high-level grapplers. The offer was accepted by Gabriela who transferred her school credits to a university in Rio to train with some of the best athletes in the world. Under the guidance of coach Ricardo, Gabriela’s jiu-jitsu career truly took a turn for the best. 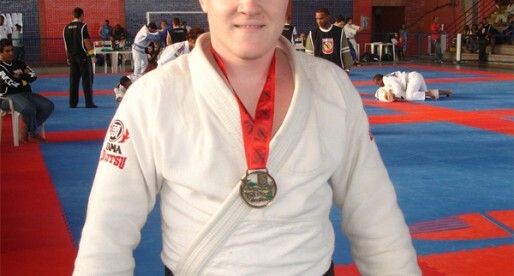 with gold medals in CBJJ and IBJJF’s top tournaments. Gabriela was also able to learn how to coach from Vieira, one of the most praised BJJ instructors in the world. and it was at Fight Zone that Fechter started coaching BJJ herself. First in a kids class, after this a women’s only class was placed under her leadership, and later, as a brown belt, taking control of the advanced classroom. The fact that Fechter was put in charge of one of the toughest teams in the country (a position shared with 2 of her peers), when her instructor, Ricardo Vieira. moved to Portugal (2017), meant Gabi was one of the very first women to take the lead of a high-level classroom in Rio de Janeiro. 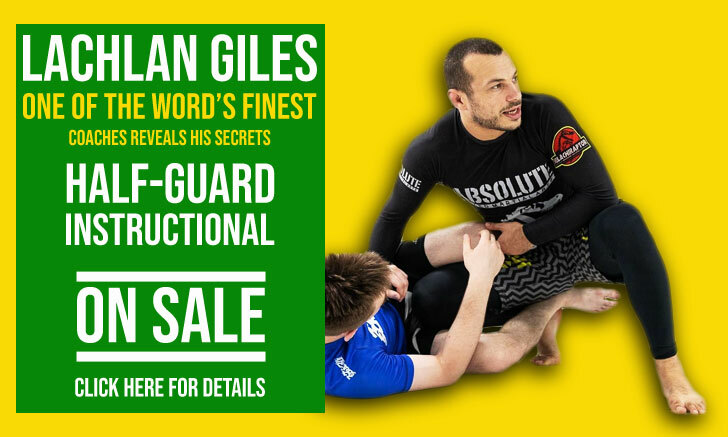 A landmark celebrated by BJJ Heroes in this article. 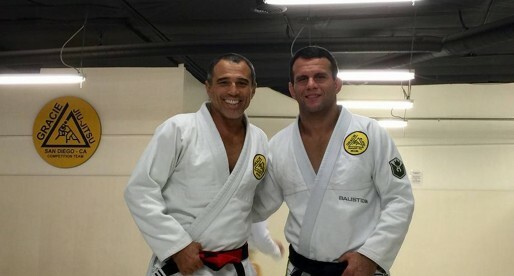 On August 25 coach Rico Vieira promoted Gabi Fechter to black belt.